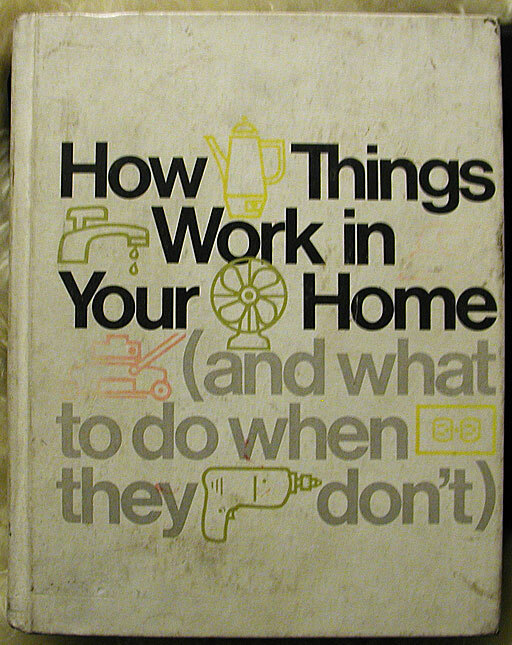 Someone in our building left a copy of How Things Work In Your Home (And What To Do When They Don't) sitting out on the "free" table. 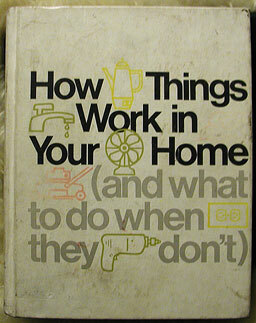 Gem brought it in before anyone could get their paws on it. 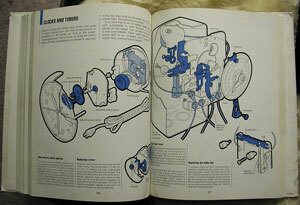 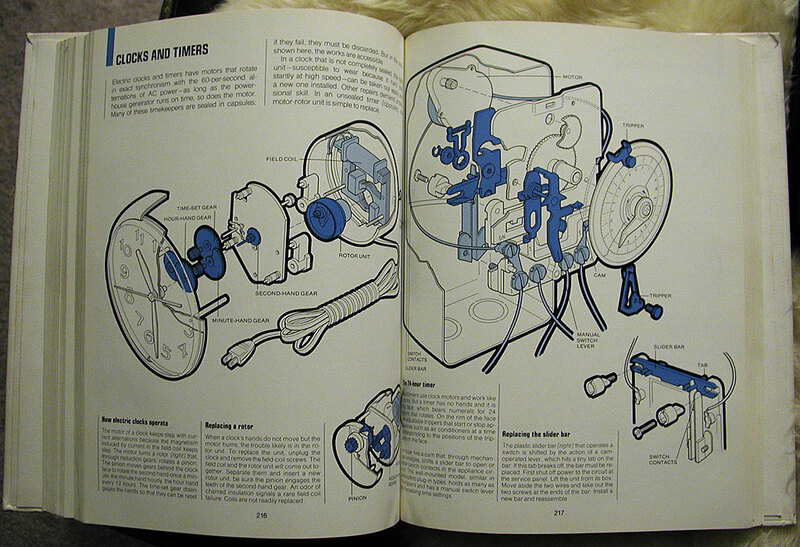 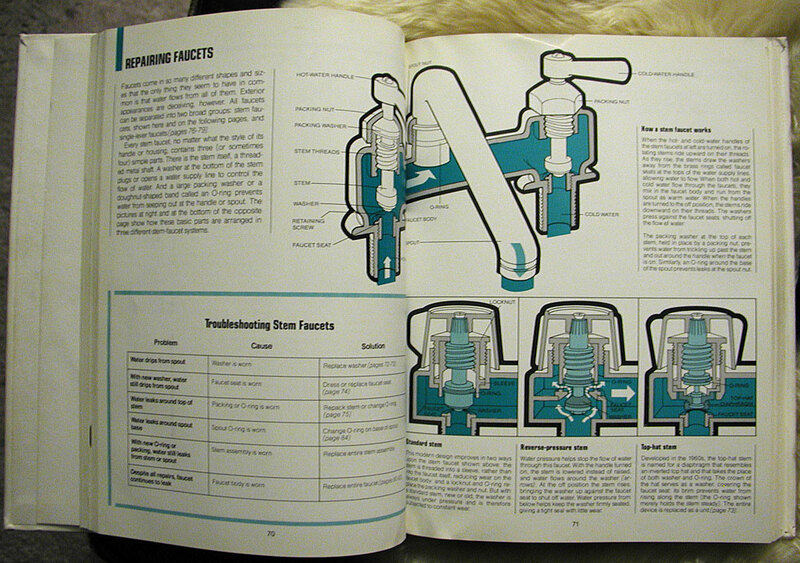 It's a 1975 Time-Life book on repairing household items, and features detailed cutaways and exploded views of any kind of machine, gadget, or appliance typically found in a 1970's home. 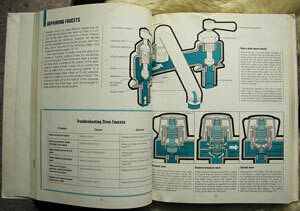 Each chapter is identified by a single spot color that unifies it as plumbing, electrical, air conditioning, etc. 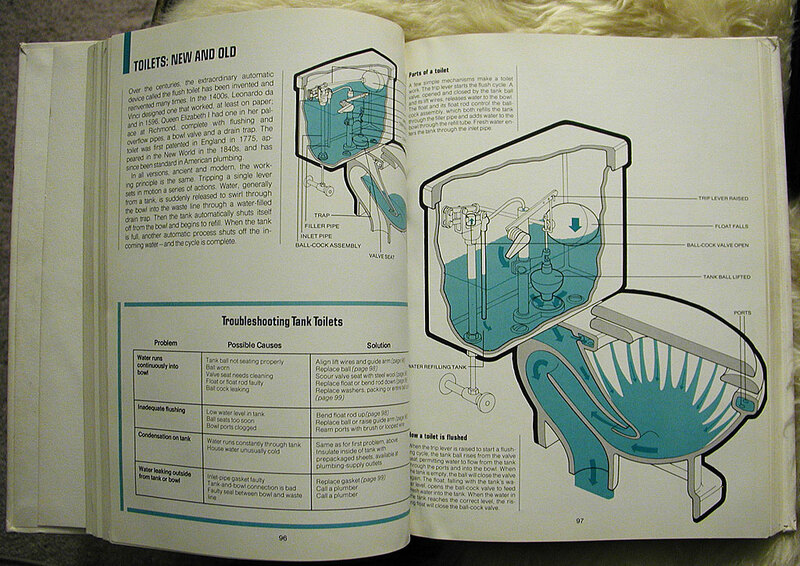 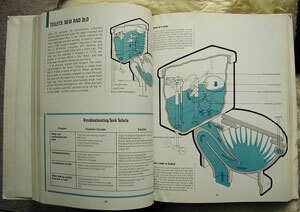 The illustrations are detailed with a characteristic 70's "fat outline", and describe inner workings of motors and septic tanks.